Turndown DSR is what most people think of when demand-side response is mentioned, ie reduction of demand by consumers in response to either price signals or instructions from the system operator. As it involves reduced consumption and moving consumption from periods of higher to lower demand, turndown DSR is both economically efficient and consistent with the decarbonisation agenda. This would suggest that it should play a major role in the future energy system, but in the UK, progress is so far disappointing. I have just returned from a fascinating couple of days at the BIEE research conference: Innovation and Disruption: the energy sector in transition. I will be picking up on a number of themes from the conference in the coming weeks, but I wanted to start with turndown DSR as it follows on from my last post on price formation in the energy markets. 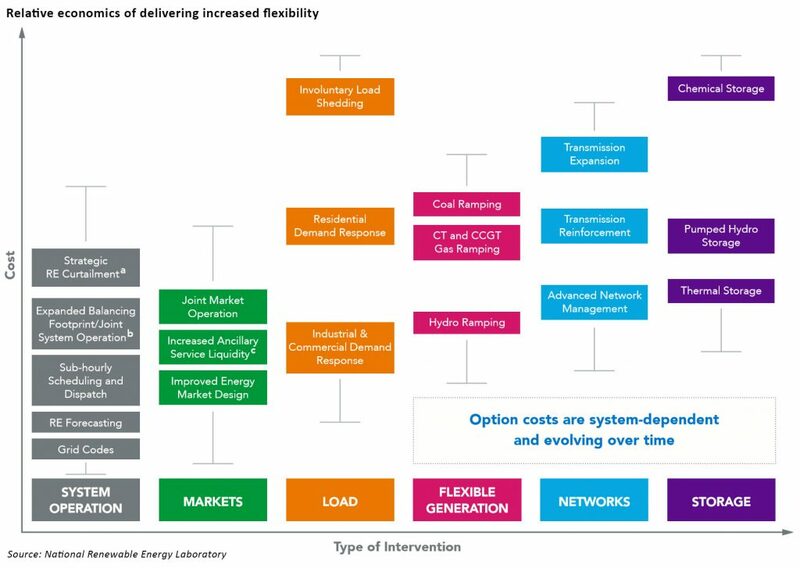 To recap – my last post, inspired by an excellent paper by Michael Hogan at RAP, described how by designing energy and balancing services markets so that they fully reflect the costs of delivering electricity in all delivery periods, the market will deliver necessary investment signals, and other mechanisms such as capacity markets can be avoided. With this in mind I was very interested in the conference presentation by Sara Bell at Tempus Energy. Founded in 2012, Tempus has developed a load shifting solution for consumers that enables them to move their demand from expensive periods to cheaper periods. 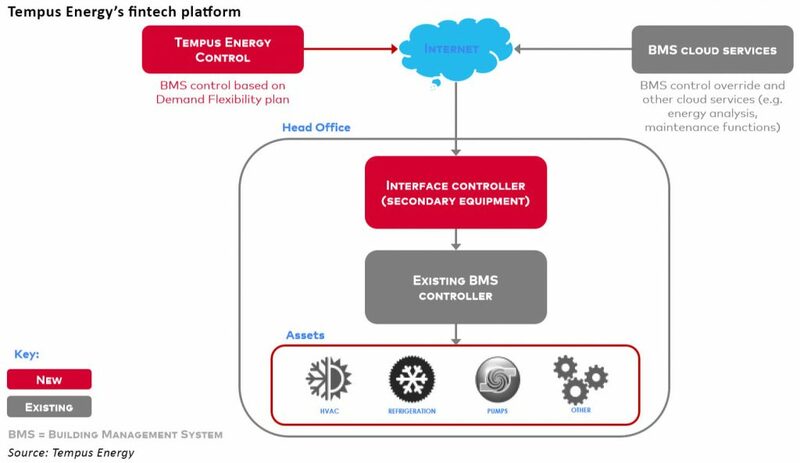 By forecasting imbalances Tempus seeks to optimise the use of flexible assets by directing them to avoid expensive periods (where possible) and more consumption to lower priced periods. According to Louis Burford, UK vice president at REstore, providing primary reserve can earn a company between £50,000 and £75,000 annually, and has the smallest impact as a call to turn down demand – an activation – typically lasts no longer than four to five minutes. Chris Kimmett, commercial manager at Open Energi, says: “Research has shown that the UK has 6GW of easily accessible flexible power.” This is equivalent to 12 UK power stations and not only represents a cut of 3GW off peak demand, but could also cut the cost of providing power from roughly £700,000 per megawatt for a new gas-fired power plant to around £350,000 a megawatt. To date, most of the “demand-side” services currently in the market have nothing to do with energy consumption, but are provided by electricity generators that are connected to local distribution networks rather than the national transmission system. This generation, known as “embedded generation” acts on the NTS as a source of negative demand, and is therefore eligible to participate in DSR measures. Unfortunately, and somewhat counterproductively in light of the decarbonisation agenda, much of this service is provided by thermal generators, including a significant amount of diesel engines (and it’s relevant to note that plants below 20 MW in size do not need to comply with carbon emissions regulations). The rollout of half-hourly metering could be a significant step in bringing more turndown (and indeed turnup) DSR into the market, particularly for industrial consumers. In a market which fully valued the costs of electricity delivery in all periods through energy and balancing services prices, half-hourly metering would enable consumers to participate more effectively by delivering proper price signals for demand reduction and load shifting. In turn, this would lead to a more efficient use of generating resources and capital. 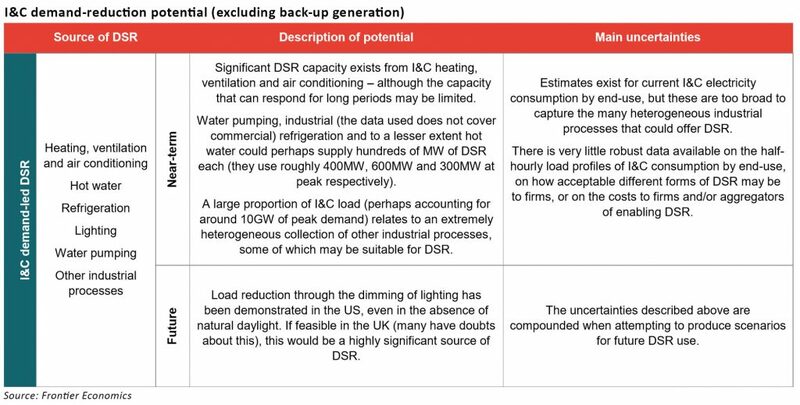 The study Future potential for DSR in GB by Frontier Economics suggests that significant levels of turndown DSR capacity may be available in the UK market, although lack of data makes this difficult to quantify. Electricity markets elsewhere are seeing meaningful contributions from DSR, for example PJM where it accounted for 9% or 15 GW of total capacity in 2015-16, of which over 75% derived from reduction in consumption rather than generation. Understanding the potential scope of DSR in the UK is complex – reliable data are difficult to find, and there is a wide range of potential services which fall under the DSR umbrella. In addition to turndown DSR, other services that are considered to be DSR include embedded generation a noted above, use of back-up generation capacity in the I&C sector, and various frequency response services. All of this makes the decision by National Grid in August not to procure any DSR reserve for the coming winter quite surprising. Their decision was based on low availability in the tender, which closed in June, and confounded statements from the firm last year that National Grid expected DSR to be a significant contributor to the provision of balancing services, making up “well over 50%” of balancing requirements by 2030.
ie grand statements are all very well, but are not a substitute for a proper DSR strategy with roadmaps to delivery. This had led some in the industry to question whether National Grid is the appropriate body to manage the emergence of DSR, since there are inherent conflicts of interest with their business model as a private company being dependent on the construction of the transmission system – the need for which would be reduced by a meaningful demand reduction process. “bonkers policy that only a natural monopoly would dare to implement”. It is, however, the role of the Government to look through the positioning of various lobbies to determine whether DSR can and should contribute to the energy mix of the future. On face value, reducing demand is certainly consistent with the decarbonisation agenda, and it can be argued that by reducing consumption costs through load shifting DSR provides a wider economic benefit. In addition, the use of DSR reduces demand on the transmission system, potentially mitigating risks of congestion and limiting the requirement for increased infrastructure. 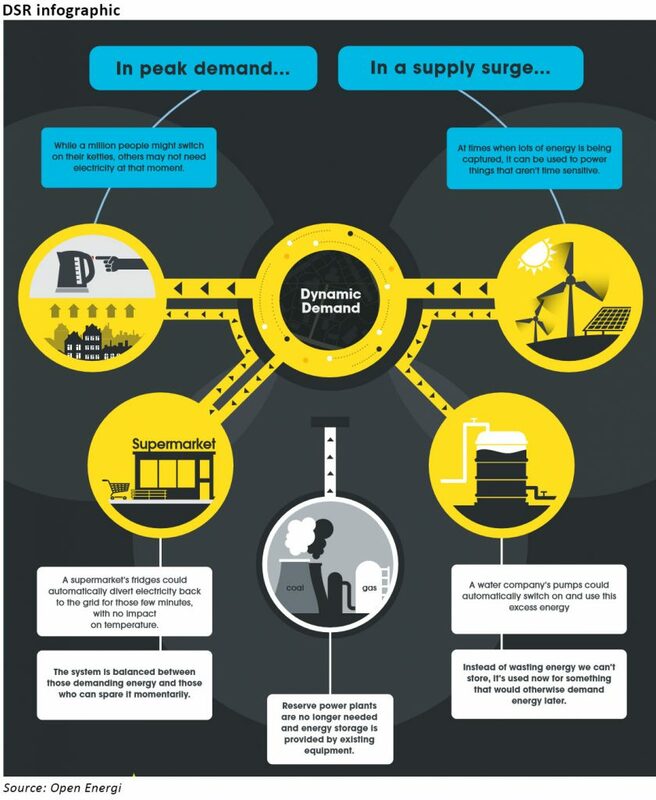 A 2014 paper from the National Renewable Energy Lab (Flexibility in 21st Century Power Systems) identified three grid requirements to accommodate the growing level of intermittent generation on the grid, being flexible generation, flexible transmission to carry power without bottlenecks and facilitate access to a broad range of balancing resources and demand side response, including storage, responsive distributed generation and demand response programs that can support the grid by responding to market signals or direct load control. UK government figures suggest that if 5% of current demand was met by DSR, equivalent to the output of a nuclear power station, the system would be £200 million cheaper to run and consumers would benefit by £790 million. On the flip side, the costs of implementing the smart technology required must be investigated, although it can be noted that the smartening of the grid is already Government policy (albeit in a form which is arguably inefficient ie the domestic smart meter rollout). The analysis below from the National Renewable Energy Lab indicated that the costs of industrial demand response are significantly lower than the cost of expanding the transmission system, with even the more expensive residential demand response being cheaper than grid expansion. DSR was also found to be significantly cheaper than battery storage, which was evaluated at a similar level to involuntary load shedding in terms of cost. It’s clear that there is a deep level of frustration in the industry by the recent developments in the UK market not just in relation to the direct impact of the DSBR decision, but also around other issues that are emerging as a result of the energy transition, for example the recent controversy around the black start contracts. On the one hand, the system operator appears to be offering insufficient incentives for the DSR segment to make a meaningful contribution beyond provision of embedded generation, while on the other had it offers unexpectedly generous incentives to the type of generation that is slated for closure under decarbonisation plans. Such contradictory behaviour, while perhaps understandable in the context of managing a highly complex challenge, is unhelpful and industry sources suggest that greater engagement could result in a more coherent and economically optimal path to a secure and affordable low carbon energy system.